Estate Car - Items can be transported in an estate car. This lightweight, portable spray extraction carpet cleaner is ideal for domestic carpets in households and small offices. This compact and easy to manoeuvre unit is simple to operate and cleans and restores pile on most fabric (test small area first). Optional - Pistol grip upholstery tool. Carpet Cleaning Fluid available to buy online or when you collect. 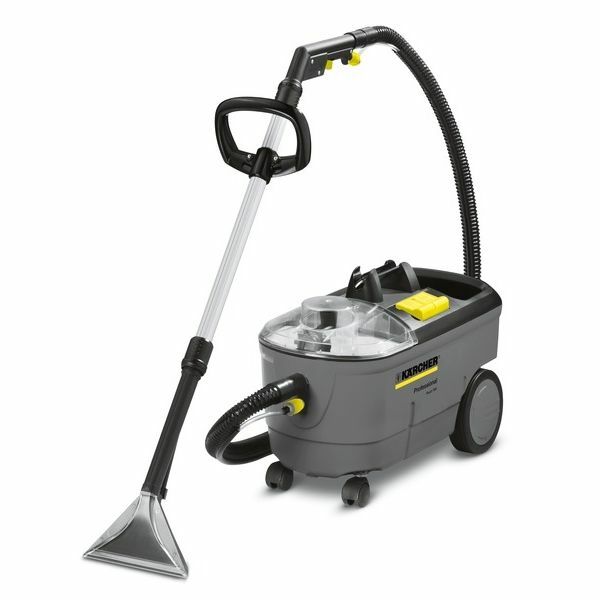 Click on the video below to see the Small Carpet Cleaner in action. UK'S NO. 1 FOR CARPET CLEANERS: HSS was the biggest recipient of traffic for searches for the term ‘carpet cleaner hire’ from UK Internet users for the 12 weeks ending 13 April 2013. Data source: Experian Hitwise. SAME DAY SAVER: Pick up and return this Wall Tile Remover on the same day – and claim a 20% saving on our 1st Day rate. This excludes “delivered” items. Ensure you check branch opening times!